She's Fantastic: Super Mario Bros TOADETTE! 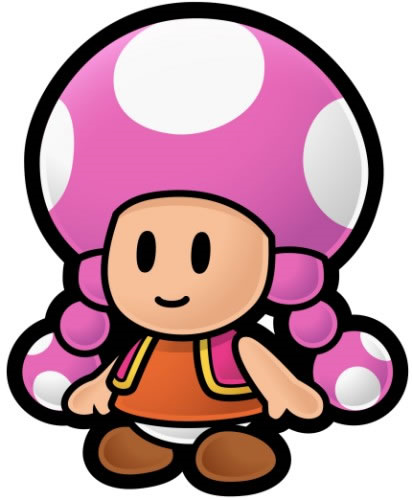 Who would have thought there could a cuter mushroom person than the main man Toad? I think this little pink lady might be giving him a run for his money. 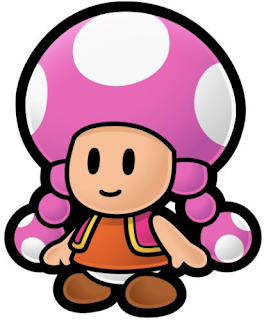 Toadette first appeared in 2003's Mario Kart: Double Dash as Toad's sister, or friend, or sweetheart (it's been unclear) and went on to appear in at least nine other games since (mostly in the Mario Party and Mario Kart series) as both playable and non-playable characters. I've been seeing this figure of Toadette on eBay for years but only recently caved and bought her - I shouldn't say caved actually, because she was extremely cheap. Now I suddenly really dig this character and am hoping to someday get figures of her in smaller scales like PopCo and K'Nex. Banpresto is a company that we don't often see too many collectibles from here in the US (although they made my absolute favorite Godzilla toy) but in Japan they are everywhere. The prevalence of cheaper vinyl toys is another Japanese trend that is sorely lacking in the US.. but someday we'll get on board... someday. 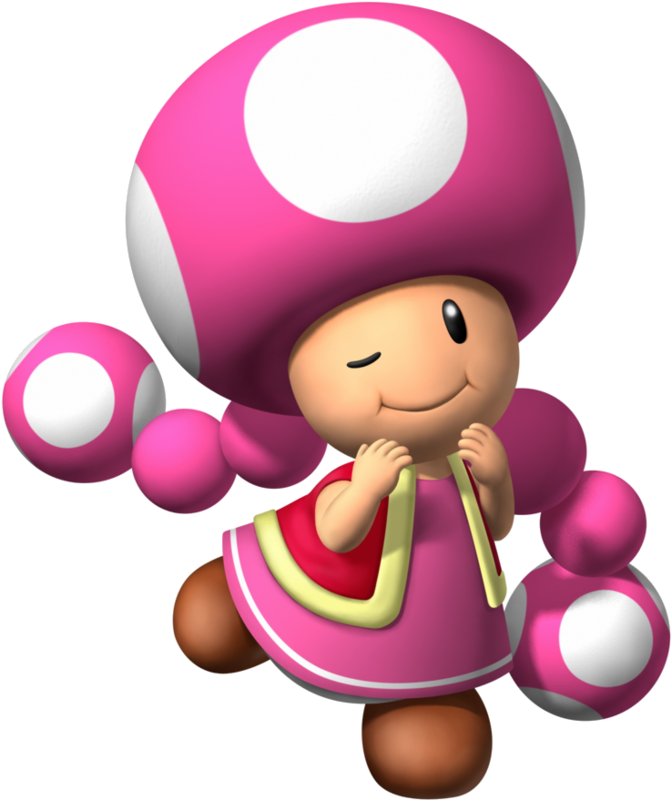 Let's check out Toadette below! The only odd thing about this figure is the line of her winking eye. I tend to think they intended to have the small black crescent representing her wink at the bottom of her "eye bump," but instead it's right in the middle, making her look like she got punched in the face by Princess Daisy. Toadette is articulated at the neck and shoulders. Not a ton of posing potential, but I wasn't really expecting more than that.